The NGO Committee on Social Development holds monthly meetings for discussion, planning and networking. Our main activities include organizing the Civil Society Forum which precedes the UN Commission for Social Development, participating in the Commision itself, Advocating and other associated events, such as Breakfast Meetings. 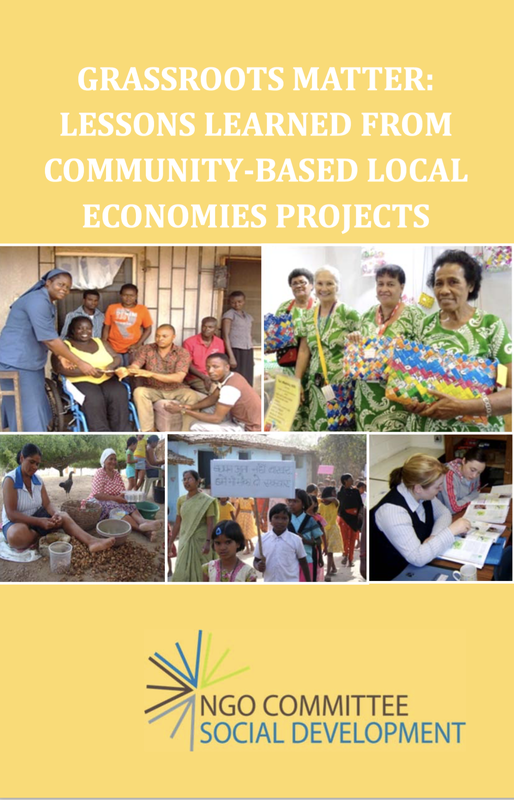 Held annually in February, the Commission for Social Development is integral to the implementation and follow up of the Copenhagen Declaration and Programme of Action. In order to ensure no one is left behind in the development agendas of the United Nations, such as the post-2015 agenda, NGO CSocD engages in various forms of advocacy at the United Nations. Held throughout the year, NGO CSocD sponsors various events for networking and education. These events consist of both side events during UN Commissions and Breakfast events, which put Civil Society, UN Agencies, and Member State Missions in conversation with one another. Each month NGO CSocD has meetings for education, discussion, networking and planning. The committee, comprised mostly of NGO representatives, work with one another to ensure social development is prioritized at the United Nations through advocacy and events. Comprised of members from the Committee in New York, our working groups take on time sensitive projects, such as planning for Breakfast events, the Civil Society Forum, or organizing mission visits. Working groups have also created long-term projects, such as Social Protection Floor petitions and a working group on the Eradiction of Poverty, focusing their work on ending human poverty through advocacy and dialogue at the United Nations. Our members have extensive networks at the grassroots. A major component of the work of NGO CSocD is ensuring their voices are heard and respected at the United Nations. NGO CSocD has estabished partnerships with various organizations, committees, and companies. This includes Friedrich-Ebert-Stiftung, International Labour Organization, and UN Department of Social Affairs-Social Policy and Development Division. For more information please see our resources page.